Winter calls to mind puffy parkas and wool peacoats, but unless you’ve already been hit with holiday snow, you’re in need of something a little lighter to layer up in. Heavy-duty jackets and festive coats won’t due for a little wind and laid-back outfits, but one sporty new outerwear trend is just the thing. You’re probably familiar with the leggings, tee and sneakers look rocked by off-duty models, but the athleisure outerwear trend takes it a step further. Think active pullovers and zip-ups that keep things casual. It’s all about dual-purpose pieces — sure they slay at yoga, but these layers look just as good running around the mall and heading to the post office. They’re the type of outerwear options you’d stuff into the gym bag, but fashioned with a bit more styling to suit after-workout activities just the same. For more on the four essential styles — and where to shop them — read on! On its own or with a convenient kangaroo-front pocket, the half-zip pullover has become a staple in workout and street wear. You can find them for running, lounging and beyond, and they don’t always have to look so serious. Choose a vibrant print to inject some excitement into errands or athletics. 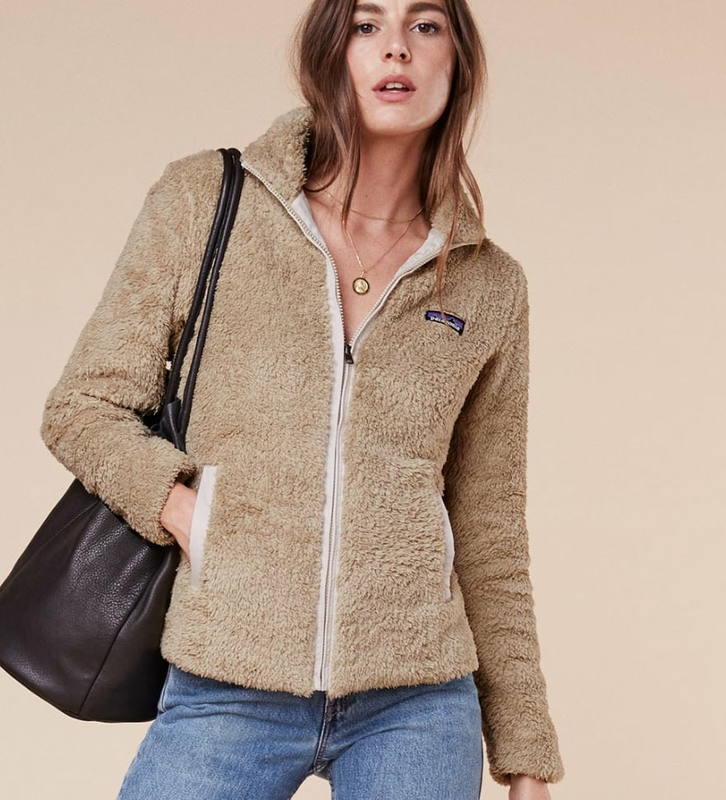 As iconic as the Patagonia and North Face brands themselves, this throwback fleece jacket is practically a collectible. Choose a modern, vintage or revival style to suit your interests and price point. You can’t go wrong with this one! Puffers have become so associated with winter weather that there’s a style for every outing. We love a multi-tasker though, so skip the fur hood and go metallic for a balance that works with jeans or leggings alike. The windbreaker is the lightweight and packable piece you keep in your bag, your car, your desk drawer…the list goes on. Much like the rest of its cohort, this casual jacket is a zip-and-go layer for windy but warmer days. This heathered style is neutral enough to mix and match with your favorite workout basics and still looks low-key when thrown on with denim and sneaks.